The Honda HR-V is very affordable, with a compact size and superior fuel economy. It has won many awards, winning popularity in the American market even though it has only been in the automaker’s lineup for a short period of time. It is one of the most versatile vehicles in its class, thanks in large part to the second-row Magic Seats. These seats can be folded down together or separately as well as flipped forward to give you more room when you’re hauling awkward items in the back seat. It is designed to be lightweight and compact, making the HR-V have excellent fuel efficiency while staying budget-friendly. For those looking to own a highly versatile, efficient, and spacious vehicle, the HR-V should be at the top of their list to consider. If you’re also looking for a great deal on an HR-V, then it’s time to visit Renaldo Honda. Our dealership offers Gastonia, Kings Mountain, and Shelby drivers a great selection of not only new HR-V models, but also every single model in the award-winning Honda lineup. Whether it’s a new Accord, Civic, CR-V, or HR-V, we’ve got you covered. We’re also a great source for quality pre-owned vehicles. Shop our inventory of Honda certified vehicles and other pre-owned make/model cars from various other manufacturers. We’ve even got specially priced used budget buys all under $10,000. No matter what you’re looking for, chances are we have it in stock and on sale at our dealership located at 4421 E Dixon Blvd, Shelby, NC 28152. What’s New on the 2019 Honda HR-V? The Honda HR-V continues to be a popular model among drivers and the 2019 model is no different. Providing new additions such as a refreshed front and rear styling as well as new trim levels, the HR-V proves that it can remain significant in times of change. When you choose the 2019 Honda HR-V, you’ll enjoy five separate trim levels and the Honda Sensing suite that adds multiple safety features. The 2019 HR-V trim levels consist of the LX, Sport, EX, EX-L, and Touring. The LX offers 17-inch alloy wheels, a CD player, a rearview camera, a height-adjustable driver’s seat, a tilt-and-telescoping steering wheel, and more while the Sport adds roof rails, fog lights, a leather-wrapped steering wheel and shift knob, active noise cancellation, and more. The EX comes with a sunroof, satellite radio, automatic climate control, HD radio, keyless entry and ignition, and a variety of safety features. The EX-L offers an auto-dimming rearview mirror, leather-wrapped steering wheel and shift knob, and leather upholstery while the top trim, the Touring, provides LED headlights, LED fog lights, unique wheels, an eight-way power driver seat, and a navigation system with voice recognition. The Honda HR-V has only been available for a short time in the U.S., making many believe it has only been around a short period. The truth is, it was offered in select Japan and Asian-Pacific markets from 1999-2006 before hitting American soil. The inspiration for the first HR-V came from the Honda Logo abroad. When the second generation came out, it was designed using the subcompact Fit hatchback platform. It was with this generation that Honda began offering the HR-V to North American markets in addition to those in Asia, Brazil, and Australia. It gets some of its popularity from being versatile and useful in urban settings while still maintaining a sporty feel. The modern HR-V is modeled after the Honda Vezel, found in Japan. Honda is designing it with an eye for those drivers who want cargo space and a high ride like an SUV provides but they also want it efficient, maneuverable, and high-performing, similar to a smaller vehicle. 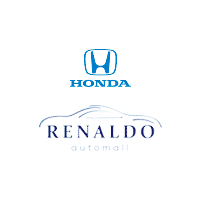 Renaldo Honda in Shelby, NC has an extensive selection of new and certified pre-owned Honda HR-V models to help ensure you can find what you are after. Because the HR-V has a short history, there may not be as many used models to choose from. However, we are proud to offer many Honda models to help meet your needs. Whether you are looking for a basic model or a more feature-filled edition, we are happy to answer all your questions. Our team is expertly trained and can guide you through the different trims and configurations, helping you find the right one for your family. Financing is easy because we offer it right on site. Stop by today and one of our friendly staff can help you test drive your favorite Honda.